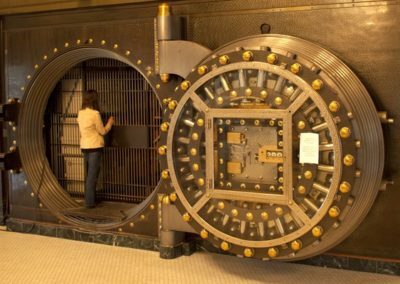 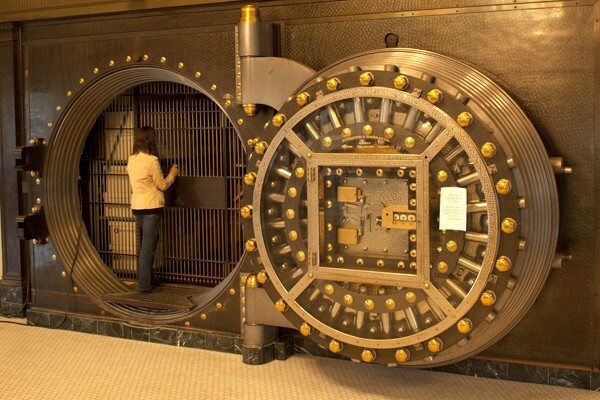 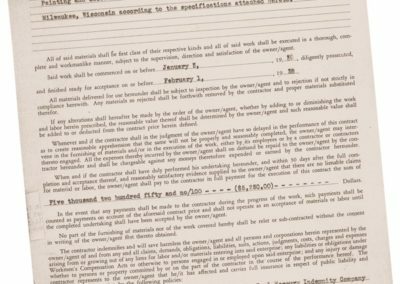 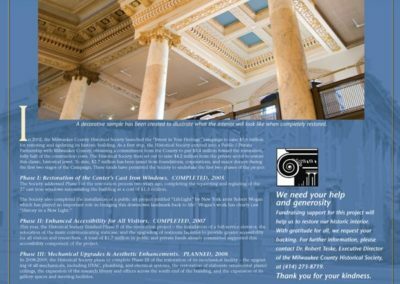 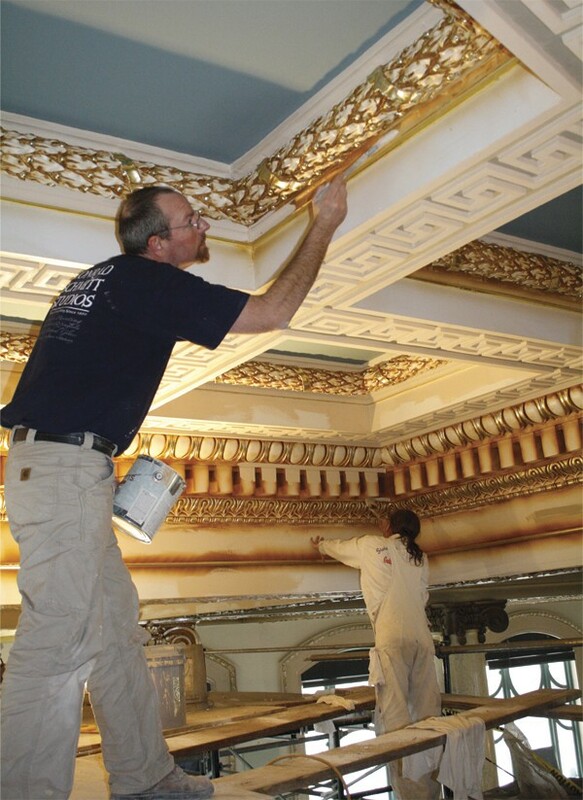 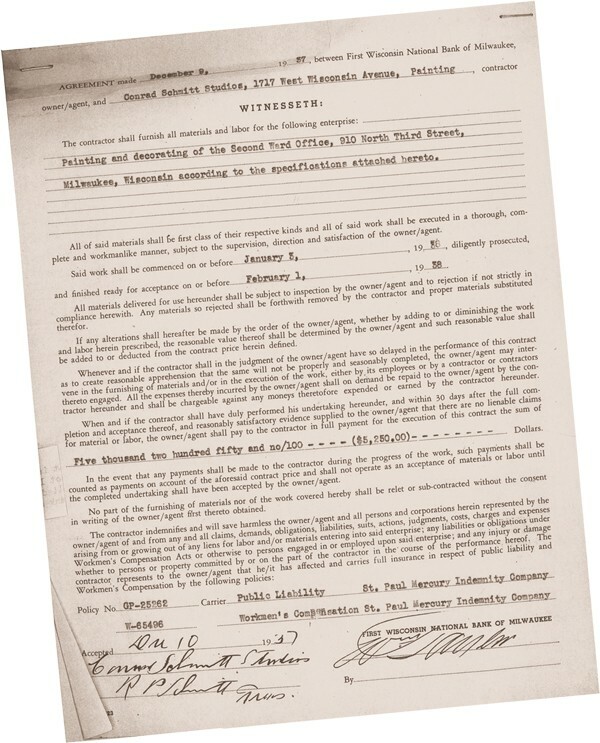 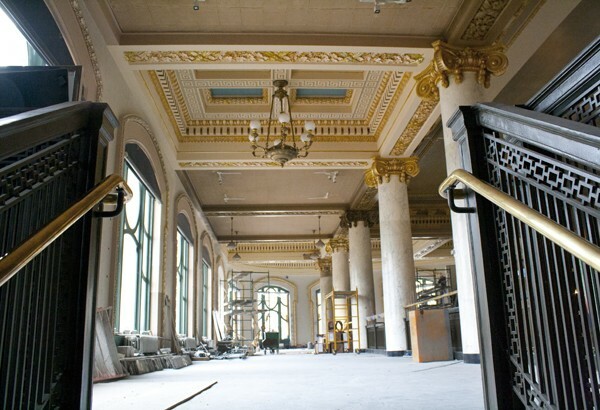 To restore the 1937 original interior decoration of the Second Ward Savings Bank. 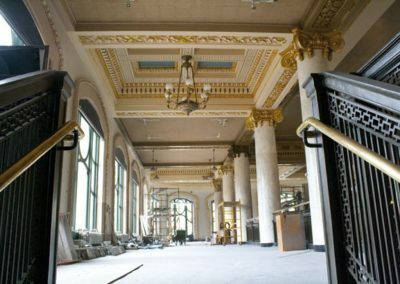 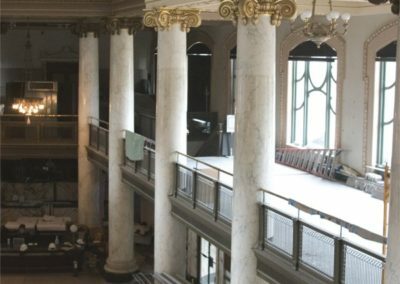 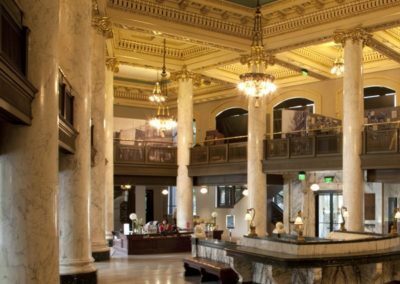 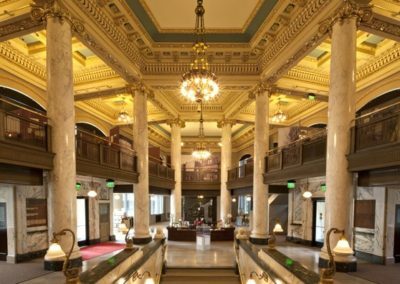 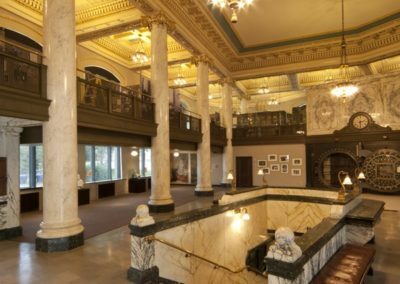 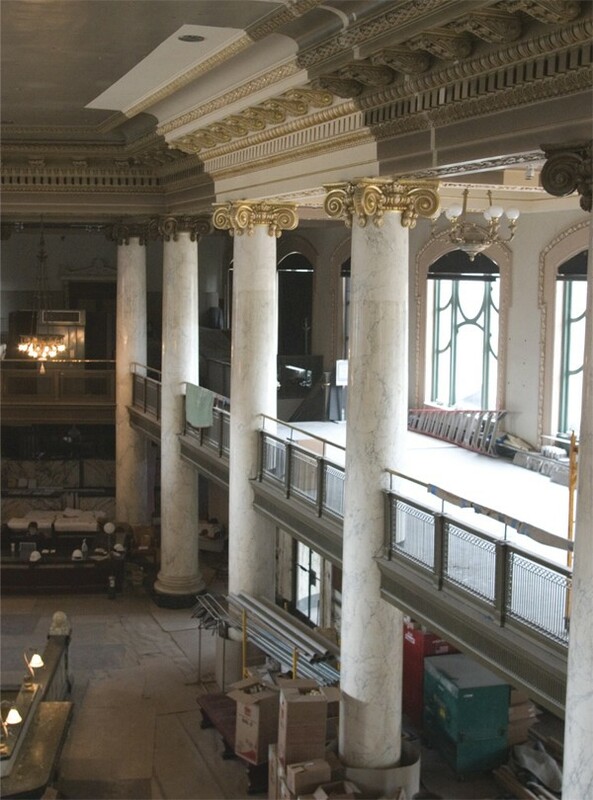 The Milwaukee County Historical Society contracted the Studio to restore the building’s atrium and mezzanine to their original grandeur. 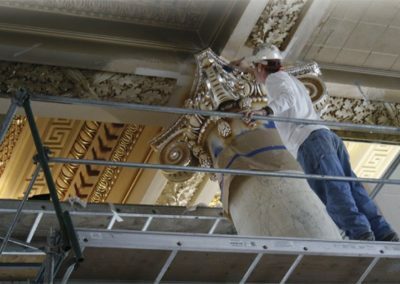 After nearly three quarters of a century since the original commission, the Studio is honored to preserve the building’s elaborate interior. 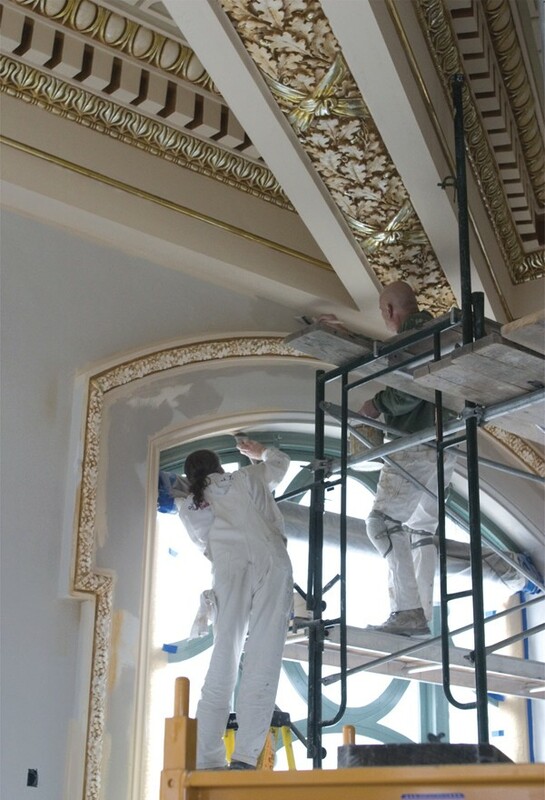 Removal of acoustical tile ceilings revealed ornate plaster work that had been riddled with hundreds of holes and covered with layers of non-historic paint. 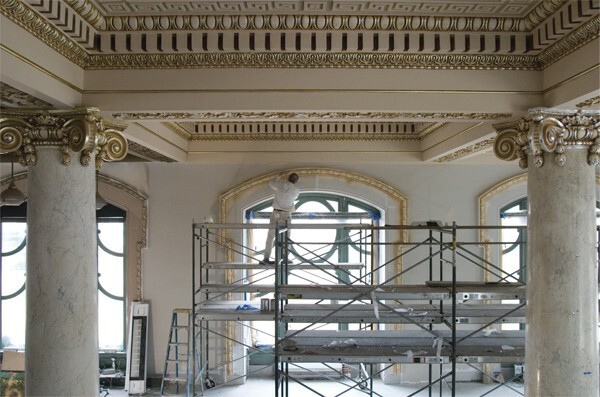 Molds were fashioned from existing ornamental plaster ceiling elements and new castings replaced those damaged by the installation of the dropped ceiling. 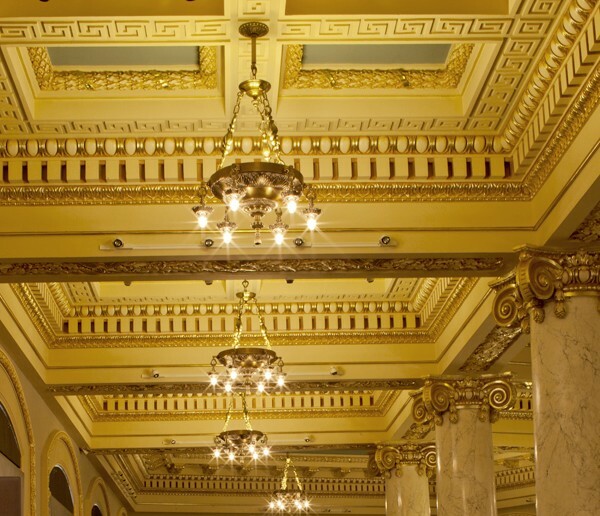 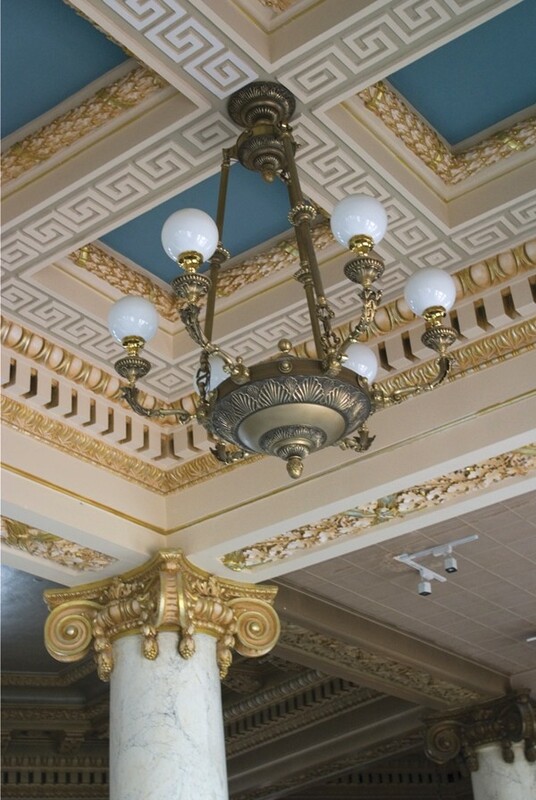 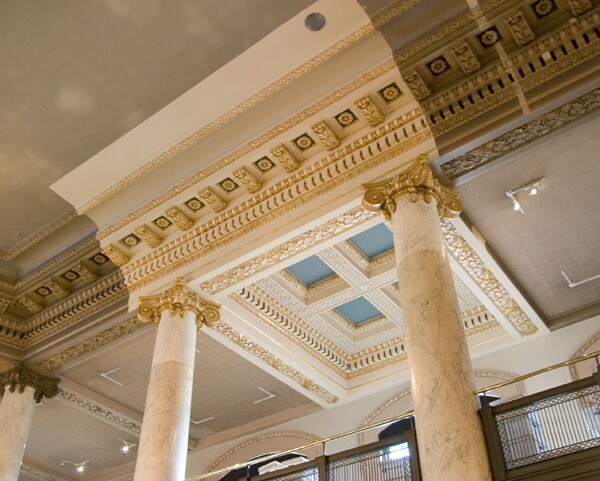 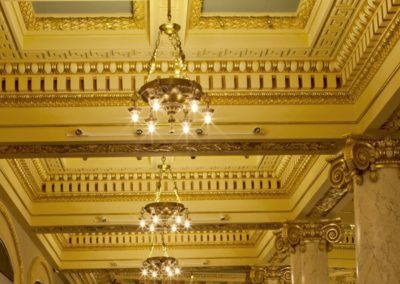 The restored original Greek key, laurel leaf, egg and dart, and lamb’s tongue patterns surrounding the ceiling’s four recessed coffers were vital to the National Register facility’s interior decoration. 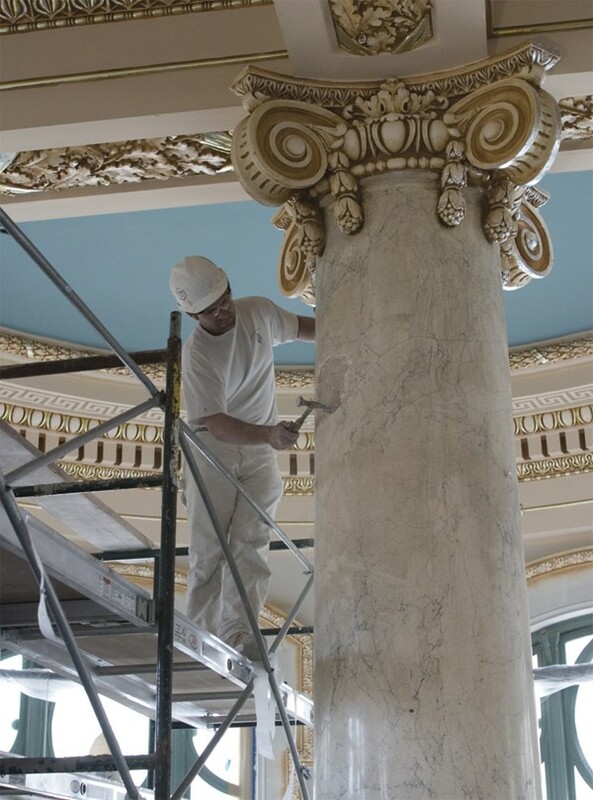 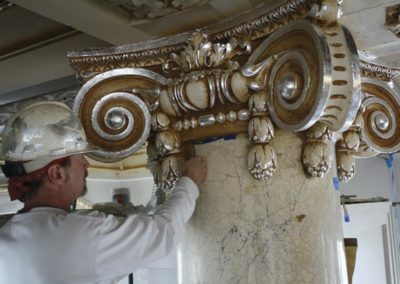 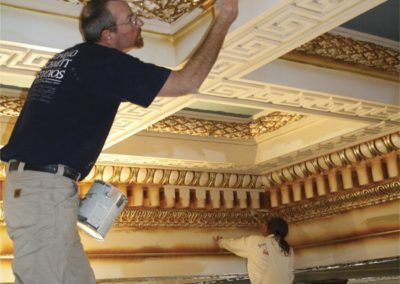 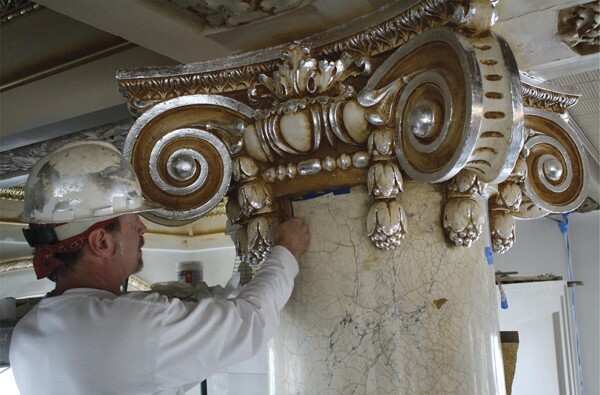 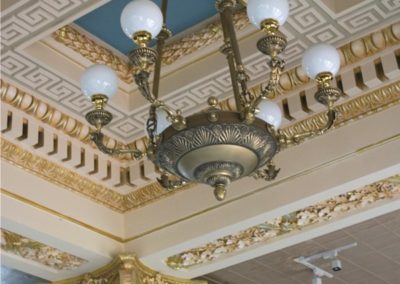 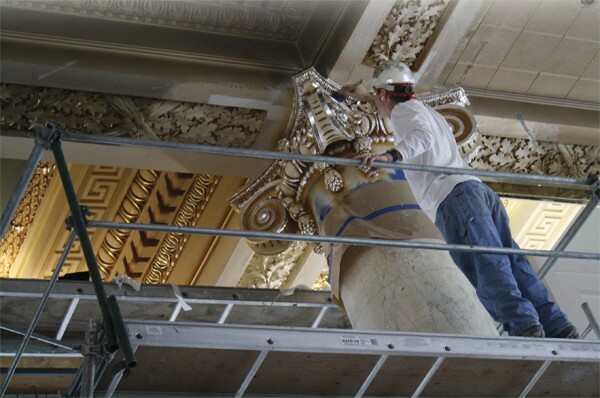 Once the plaster restoration was completed and a decorative sample approved, CSS artisans developed a decorative paint scheme to echo the original, applied decorative paint, gilding, and glazing to the ornamental plaster ceilings and capitals, and repaired damaged scagliola columns. 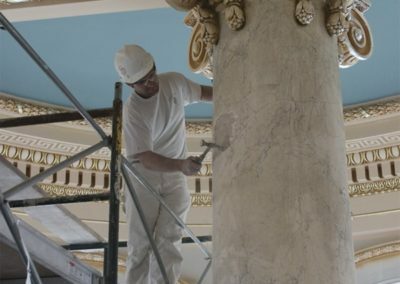 Today, the 1913 neoclassical facility will once again inspire visitors and continue its decorative legacy with renewed confidence. 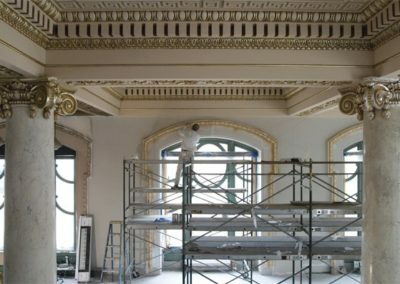 The restoration heralds the beauty of Conrad Schmitt Studios’ 1937 decorative scheme for what was then the Second Ward Branch of the First Wisconsin National Bank. 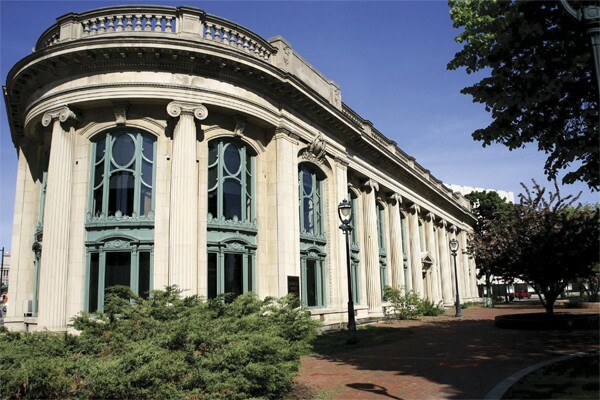 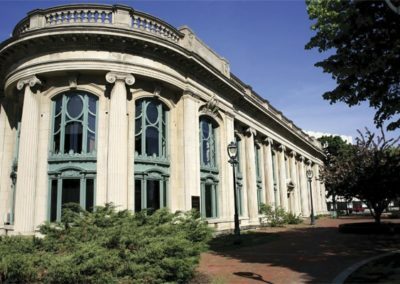 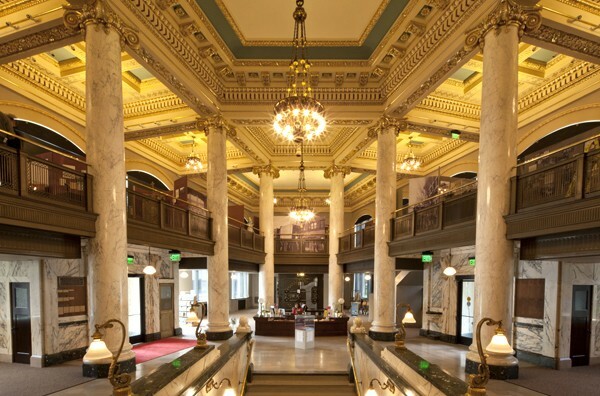 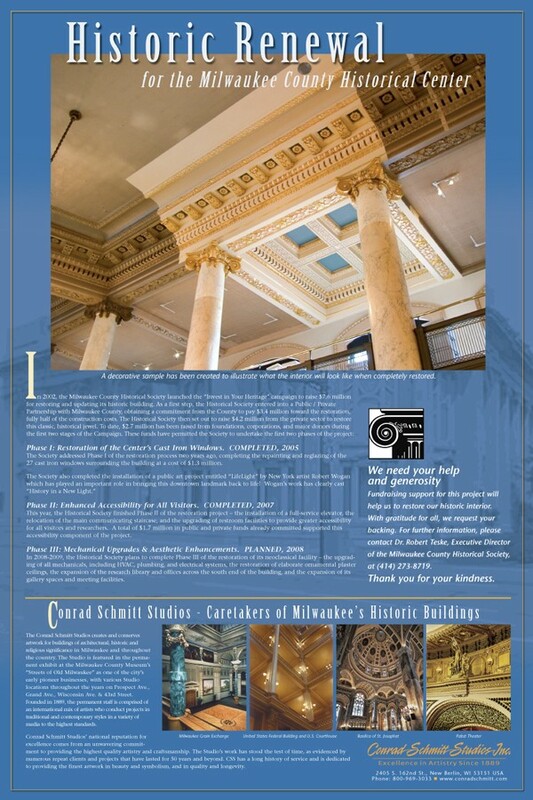 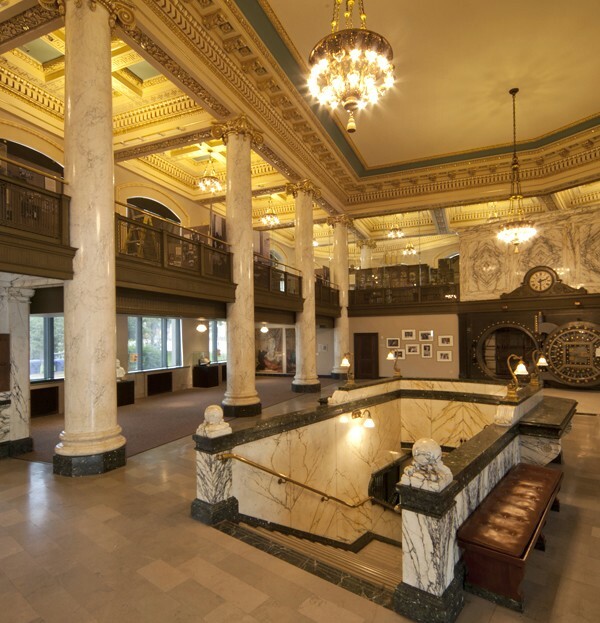 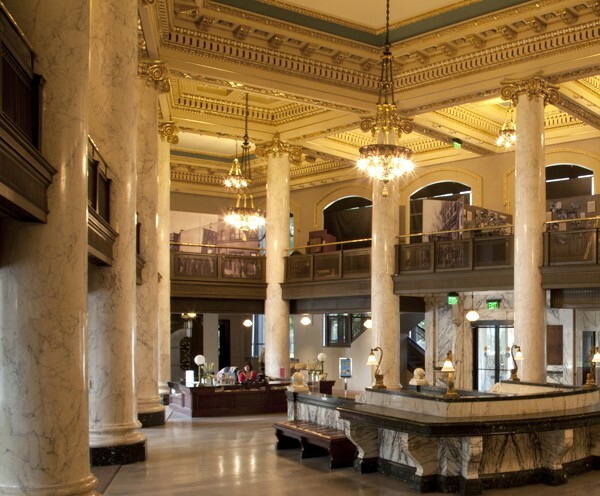 The Studio has received the 2011 AIA Wisconsin Contractor Award for this Milwaukee County Historical Society restoration. 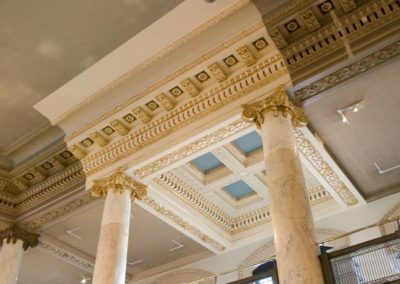 Visit here for a beautiful view of the completed project.